Thunderbolt had an incredibly strong showing at NAB 2017 held in Las Vegas. 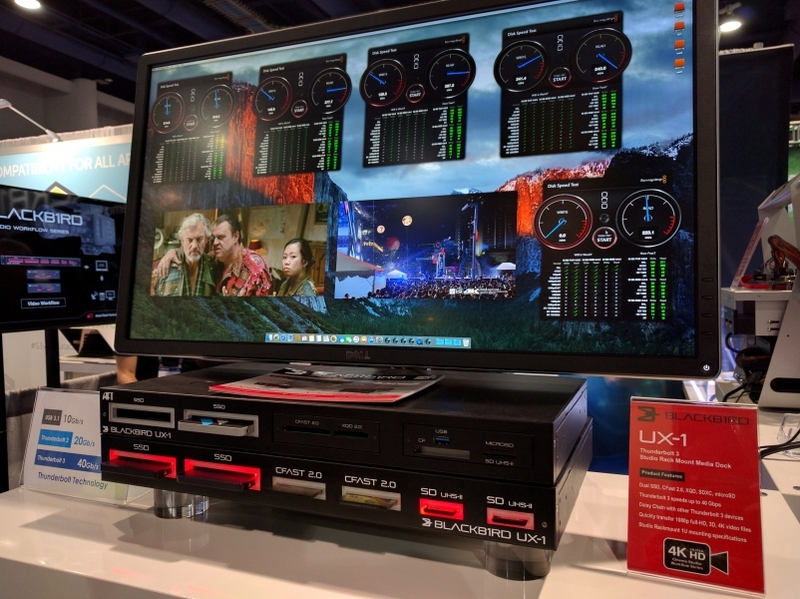 NAB is all about creating, editing, and moving Hollywood level professional media around and at 40 Gb/s, there is no other interface out there that can meet the specialized workflows needing to handle 4K and 8K video content. 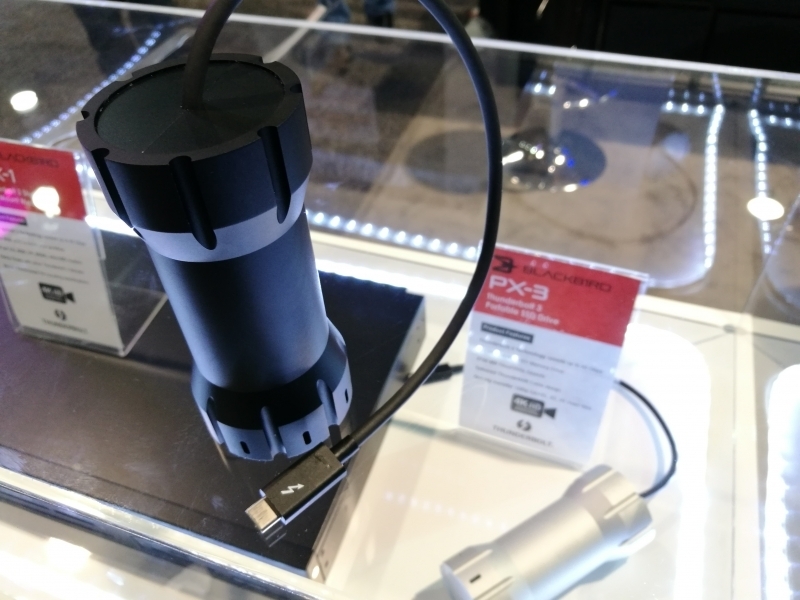 As the most visible high speed interface being promoted at the show, we got to see what new Thunderbolt 3 products were being shown off. 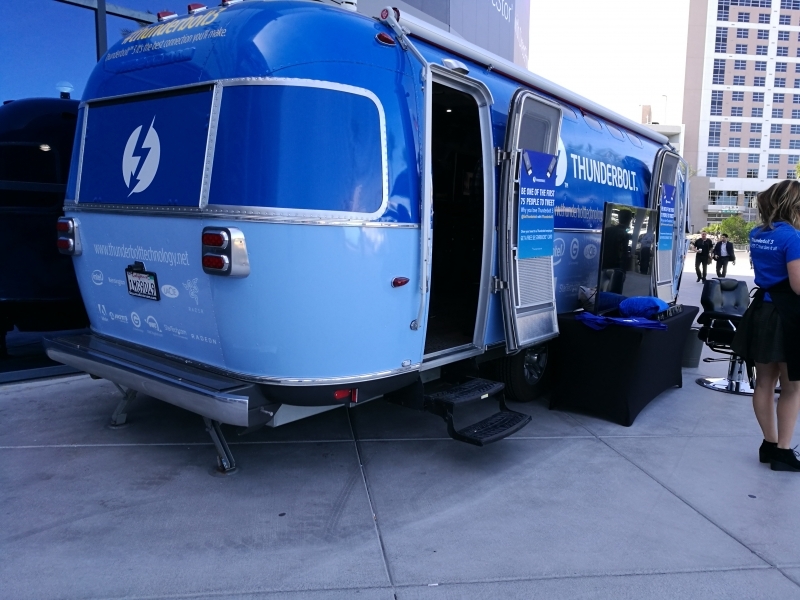 Right at the entrance of the Las Vegas Convention Center South Hall, an Airstream trailer was parked showing off the latest in Thunderbolt technology. Inside the South Hall where most of the Thunderbolt products were being shown, we first stopped by WD's G-Technology display area. 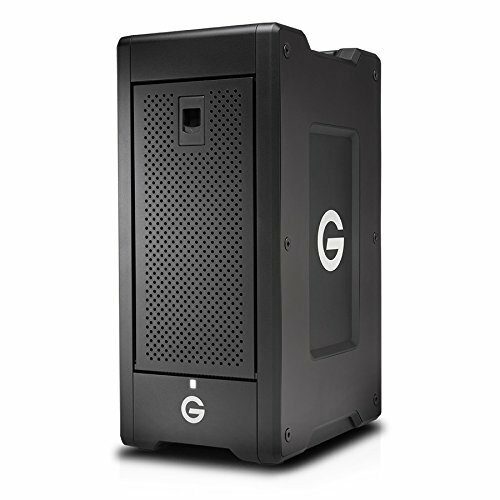 WD's G-Technology had the 8-Bay G-SPEED Shuttle XL with Thunderbolt 3, which is the newest version of the Thunderbolt 2 based G-SPEED Shuttle XL with Thunderbolt. 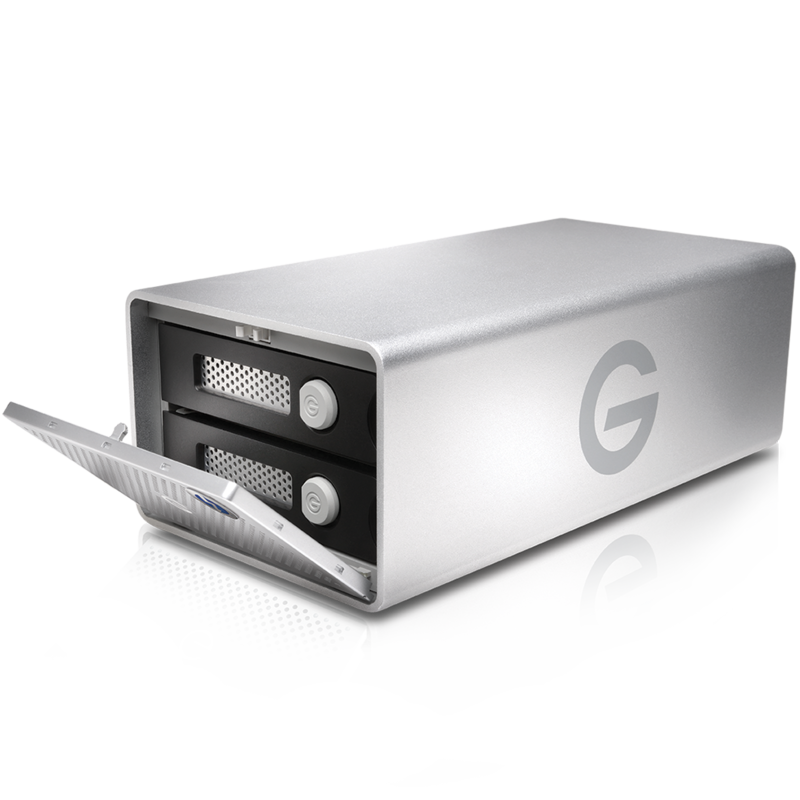 With Thunderbolt 3, the G-SPEED Shuttle XL with Thunderbolt 3 provides up to 1500 MB/s of sustained transfer rate which is suitable for 4K, 8K, and VR video workflows. 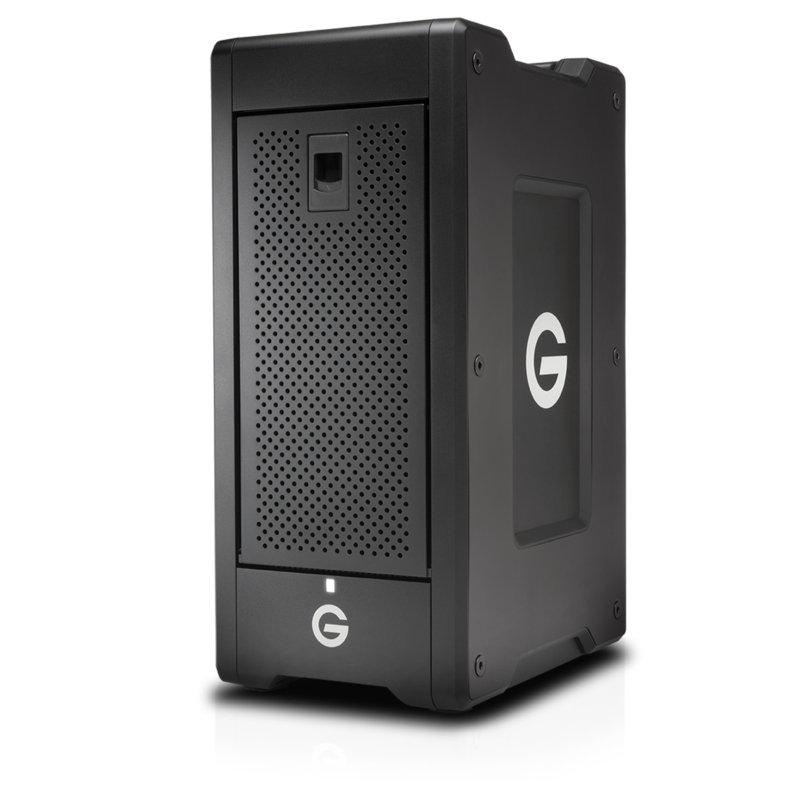 WD also had other Thunderbolt 3 products like the G-RAID with Thunderbolt 3 and the G-DRIVE with Thunderbolt 3. 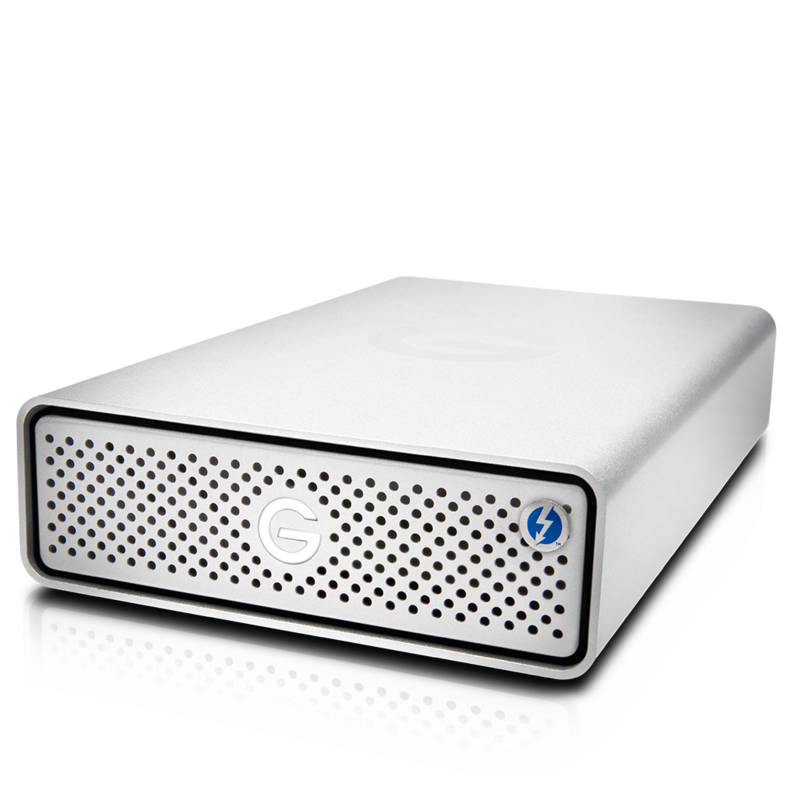 The G-RAID with Thunderbolt 3 also comes with a USB 3.1 Gen 2 (10 Gb/s) port while the G-DRIVE with Thunderbolt 3 also comes with a slower USB 3.1 Gen 1 (5 Gb/s) port. 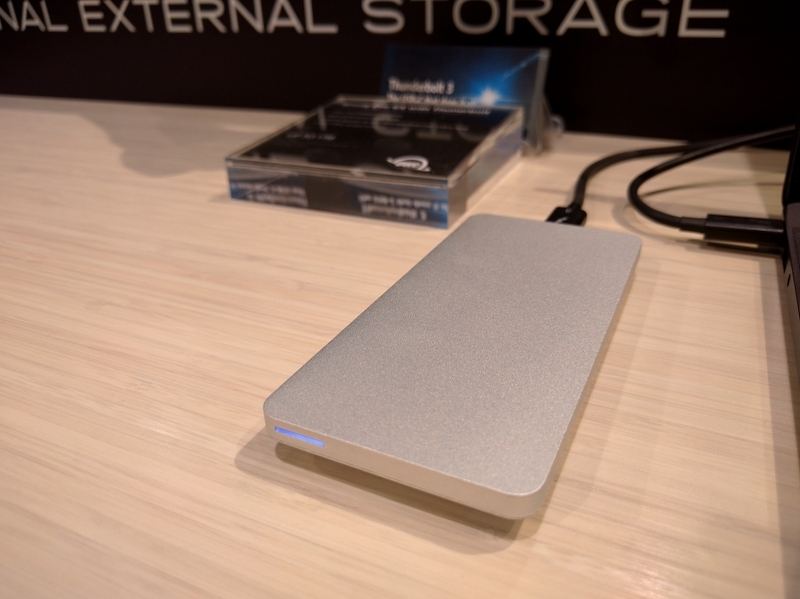 Nearby, Seagate's LaCie brand also had their own Thunderbolt 3 products to show at NAB 2017. 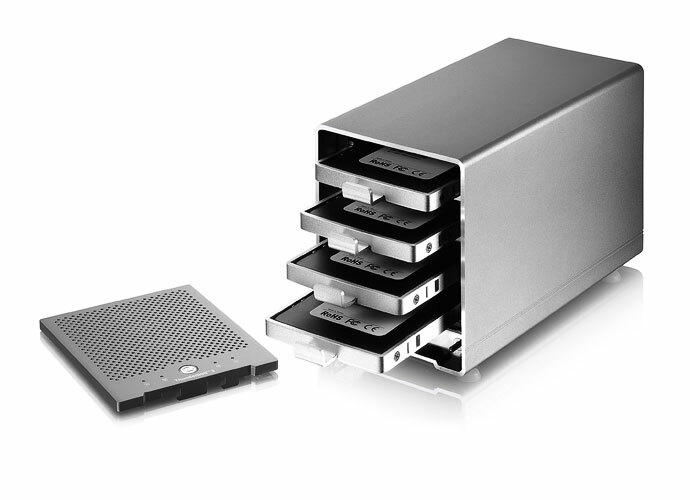 The main headliner from Seagate was the LaCie 2big Dock Thunderbolt 3. 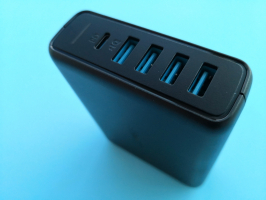 The LaCie 2big Dock Thunderbolt 3 is a unique storage solution that also acts as a dock that can connect to your Mac or PC using a Thunderbolt 3 or USB 3.1 cable. 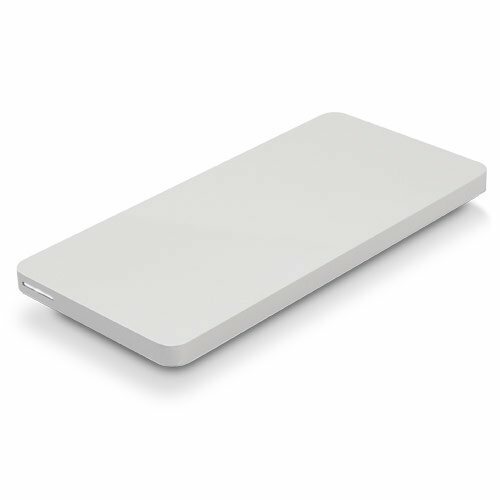 You can connect USB Type-A peripherals like a USB flash drive and even SD and Compact Flash cards conveniently from the front of the LaCie 2big Dock Thunderbolt 3. 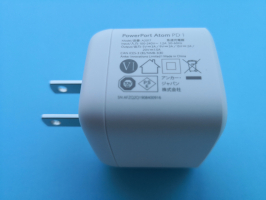 There is even a DisplayPort connector at the back that you can attach a 4K display to. 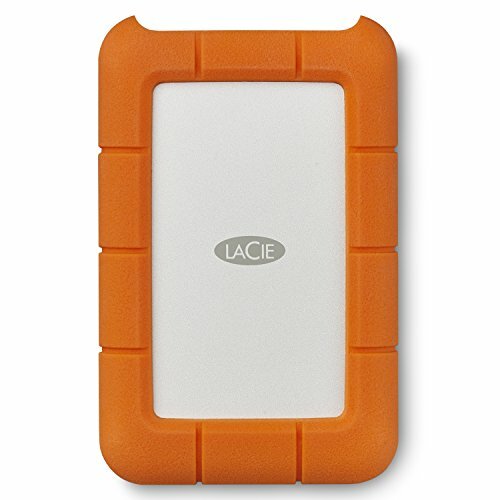 LaCie also had the LaCie 12big Thunderbolt 3 and LaCie 6big Thunderbolt 3 solutions that deliver some of the fastest read/write performance out there (see previous 12big performance review and 6big performance review). 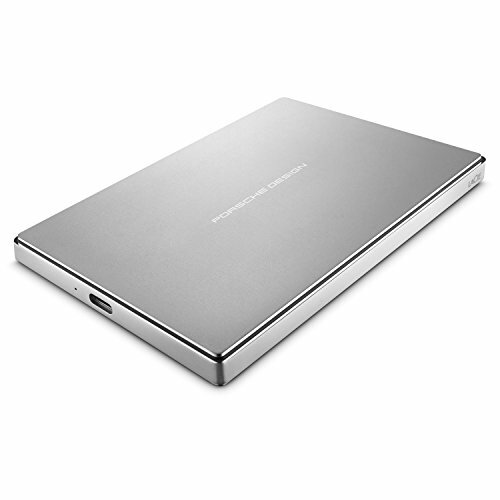 There was also a variety of Porsche Design Mobile Drive, Porsche Design Desktop Drive, and LaCie Rugged USB-C drives that can be used with computers that have a Thunderbolt 3 or USB Type-C port. 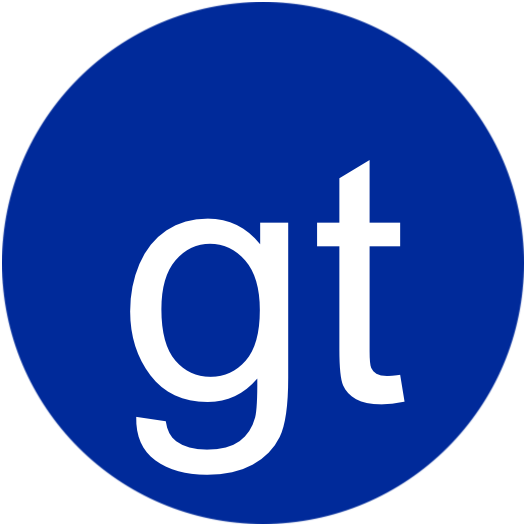 Other that Seagate LaCie and WD's G-Technology, there were a lot of other storage brands promoting their Thunderbolt 3 solutions like Raidon Technology's Stardom, Promise Technology, QNAP, Areca, and Atech Flash's Blackbird Brand. 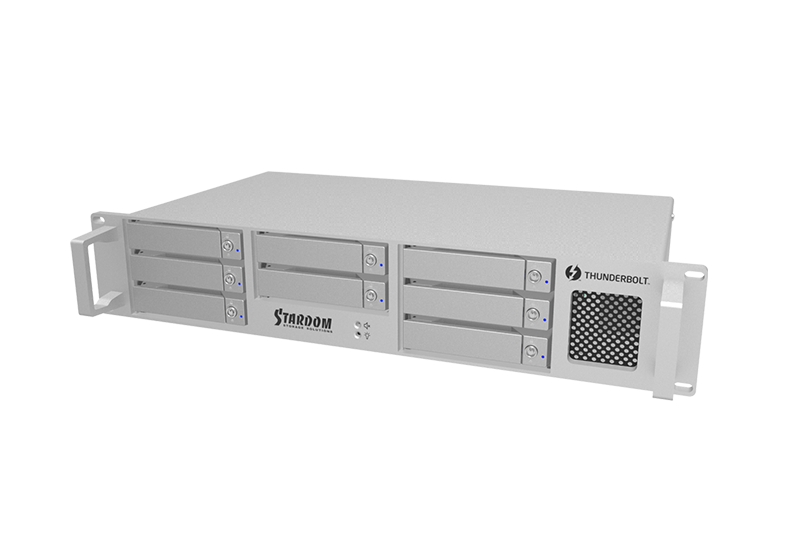 Raidon Technology's Stardom brand showed their 8-bay Deck DR8-TB3 storage solution which is the Thunderbolt 3 version of their Deck DR8-TB2. 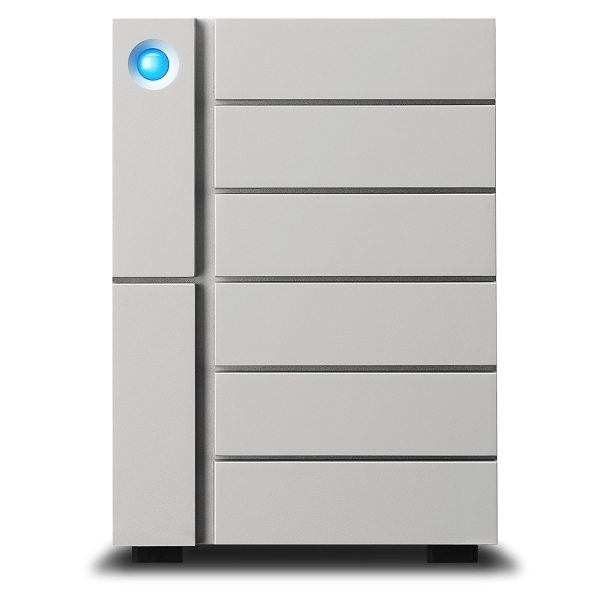 Promise debuted their Thunderbolt 3 Pegasus3 M4 High-Performance RAID Storage and Pegasus3 Series Prosumer RAID Desktop Storage. 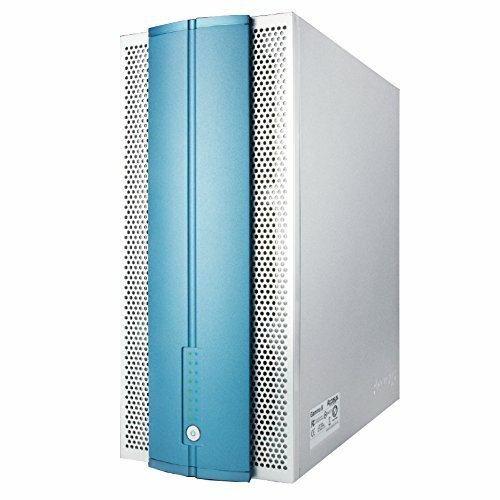 The Pegasus3 M4 models consist of 4 TB 4-bay RAID storage which support flash devices while the Pegasus3 Series models offer up to 48 TB 8-bay RAID storage. 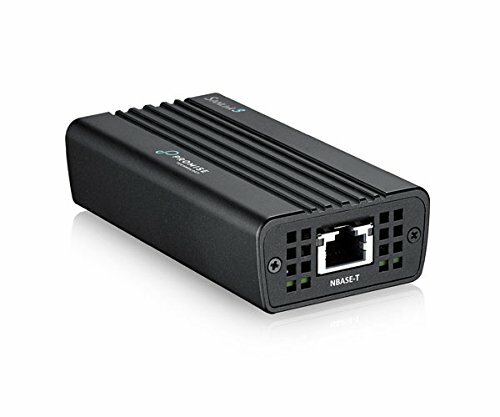 Promise even showed a non-storage device, the SANLink3 T1 Thunderbolt 3 Bridge Adapter that can provide high-speed Ethernet connectivity to Thunderbolt 3 enabled computers. 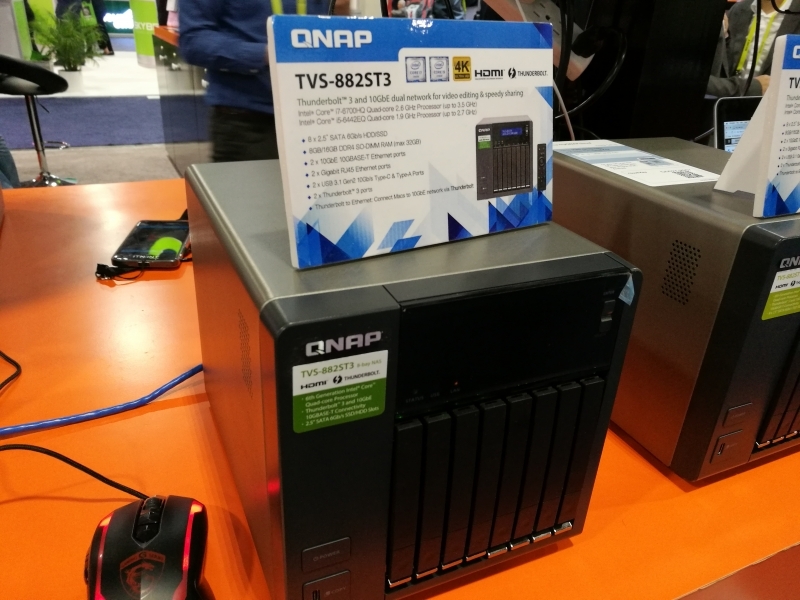 QNAP advertised their TVS-882ST3 Thunderbolt 3 NAS which can support 8 SATA Gen 3 (6 Gb/s) drives and not only has two Thunderbolt 3 ports and a HDMI 1.4 port, it also has one USB 3.1 Gen 2 (10 Gb/s) Type-C, one USB 3.1 Gen 2 Type-A port, as well as two 10GBase-T and two 1000Base-T Ethernet ports. 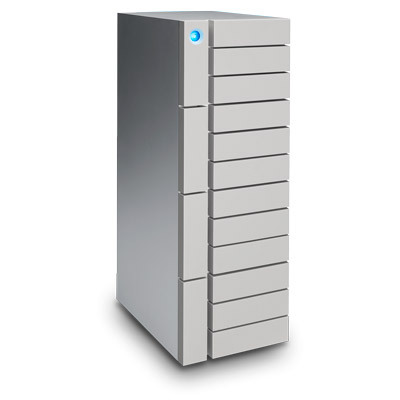 Areca promoted their Thunderbolt 3 ARC-8050T3 Series 12Gb/s SAS RAID Desktop Storage of up to 12 bays to connect to Thunderbolt 3 based computers. 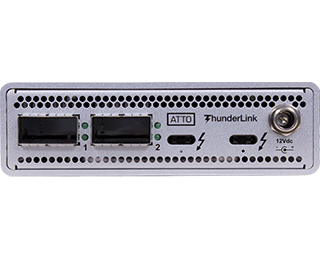 Atech Flash Technology (AFT)'s Blackbird brand showcased their rack mountable UX-1 with Thunderbolt 3 link to simultaneously access multiple high performance flash storage media interfaces like SD UHS-II, CFast 2.0, XQD 2.0, and SATA SSD. 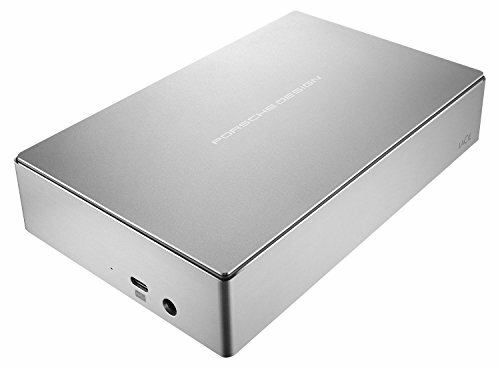 AFT also showed the VX-4SSD Thunderbolt 3 4-Bay SSD Media Dock and PX-3 Thunderbolt 3 Portable SSD Drive which are able to achieve a performance level of up to 2750 MB/s. 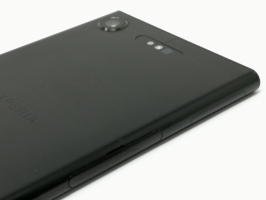 Atech Flash Technology also exhibited their new VX-1CX and VX-1S media readers. 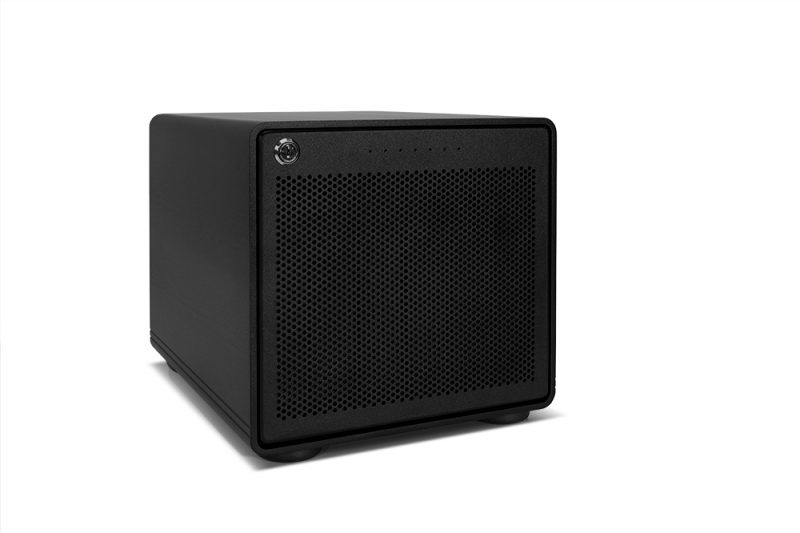 Accusys displayed their Thunderbolt 3 based Gamma 8 RAID system which has a SAS expander port, daisy-chaining capabilities and can reach performance levels of up to 2600 MB/s. 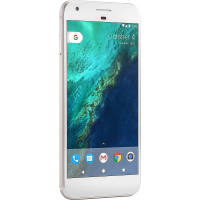 Other than storage, docks were also a very popular application for Thunderbolt 3. 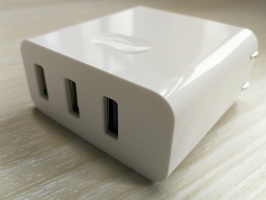 CalDigit presented their TS3 which is a Thunderbolt 3 version of the Thunderbolt Station 2 dock. 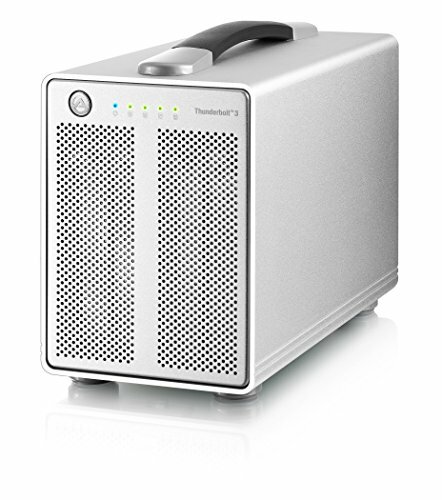 The TS3 is a vertical dock that has two Thunderbolt 3 ports, two eSATA ports, three USB 3.1 Gen 1 ports, one DisplayPort 1.2 port, one Gigabit Ethernet port, and 3.5mm audio input/output connectors. 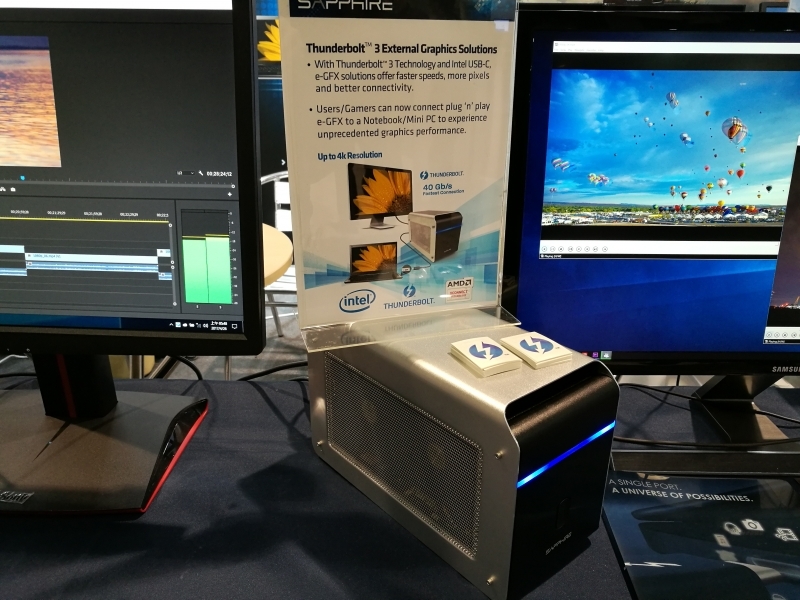 For those looking for an external graphics docking station, SAPPHIRE Technology promoted their Thunderbolt 3 External Graphics Docking Solution. 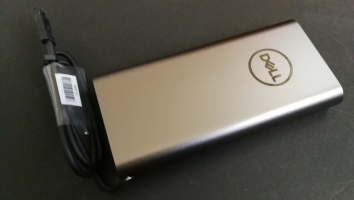 There were a few brands with a wide portfolio of Thunderbolt 3 products like Sonnet and AKiTiO. 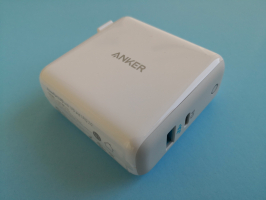 Sonnet demonstrated their own external graphics dock with the eGFX Breakaway Box. 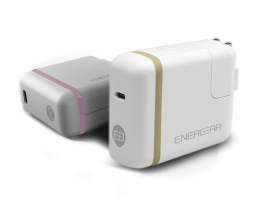 Sonnet's also promoted the Thunderbolt 3 versions of their Echo Express expansion systems, Ethernet networking adapters, and Professional card readers. AKiTiO had a wide array of Thunderbolt 3 products including external graphics dock and expansion chassis products in their booth. 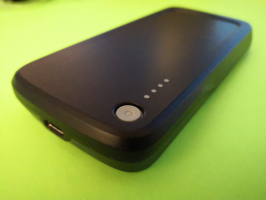 The AKiTiO Node Pro is a Thunderbolt 3 expansion chassis with a carrying handle that AKiTiO was showing could be used with a Red Rocket-X external graphics card to support external graphics with the MacBook Pro. 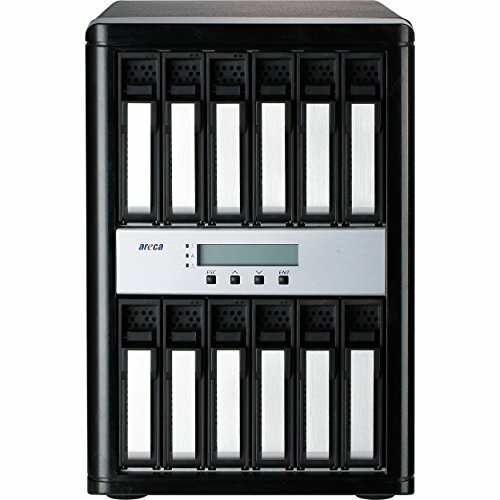 AKiTiO also has the AKiTiO Node which is specifically designed to support external graphics on Windows PC platforms. In addition to these docking solutions, AKiTiO also has Thunderbolt 3 storage solutions like the Thunder3 Quad Pro and Thunder3 Quad Mini. 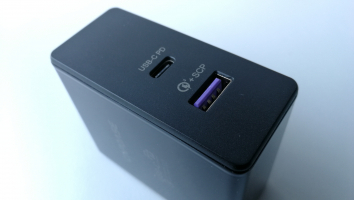 OWC showed off their Thunderbolt 3 Dock that offers two Thunderbolt 3 USB Type-C (USB 3.1 Gen 2) ports, one mini DisplayPort 1.2 port, five USB 3.1 Gen 1 Standard-A ports, and one Ethernet port among its available connectors on the front and back. 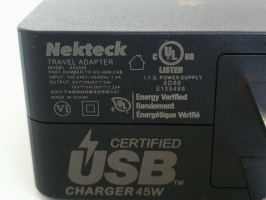 The dock can be linked up with your Mac or PC that has a Thunderbolt 3 USB Type-C port. 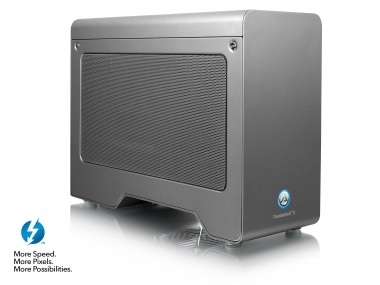 OWC also introduced their upcoming 6-bay ThunderBay 6 RAID with Thunderbolt 3. 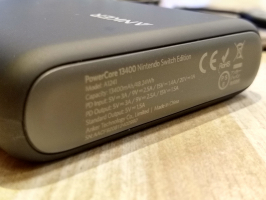 OWC even showcased their new high performance Envoy Pro EX with Thunderbolt 3 SSD drive which supports Thunderbolt 3 (40 Gb/s), a follow-on to the Envoy Pro EX which supports USB 3.1 Gen 1 (5 Gb/s). 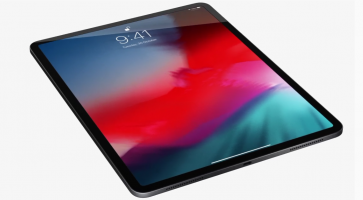 Apart from docks and storage, 40 Gb Ethernet and Fibre Channel Networking is another application that can take advantage of Thunderbolt 3 performance. 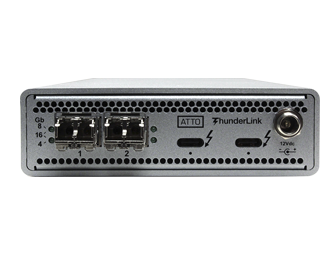 ATTO Technology showed their ThunderLink NQ 3401 (QSFP+) and ThunderLink NQ 3402 (QSFP+) which support single and dual QSFP+ modules respectively that can connect to 40 Gb Ethernet networks. 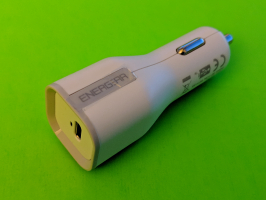 In their demo they showed how they could connect a MacBook Pro to the AVID NEXIS over a 40 Gb Ethernet network using these Thunderbolt 3 adapters. 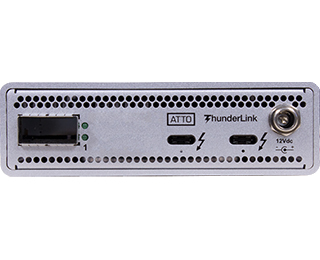 In another demo, ATTO was able to demonstrate how their ThunderLink FC 3322 and ThunderLink FC 3162 support 32 Gb/s and 16 Gb/s Fibre Channel networks. 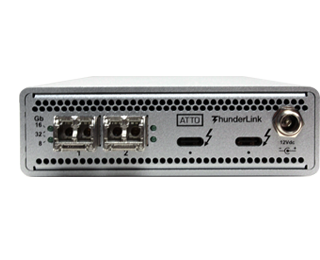 The ATTO demonstration showed 2400-2500 MB/s read/write transfers to an ATTO Celerity HBA over Fibre Channel. 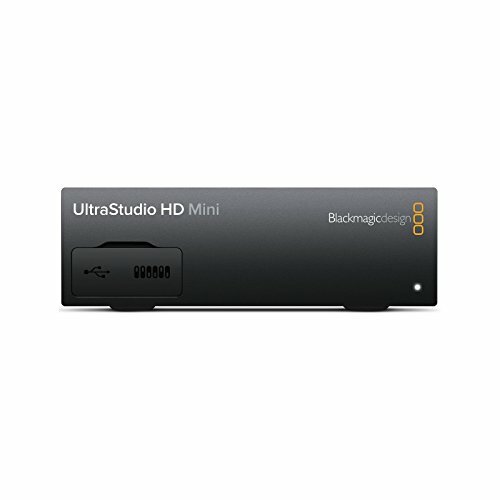 Blackmagic Design advertised their Thunderbolt 3 based UltraStudio HD Mini, a portable device for video capture and playback. 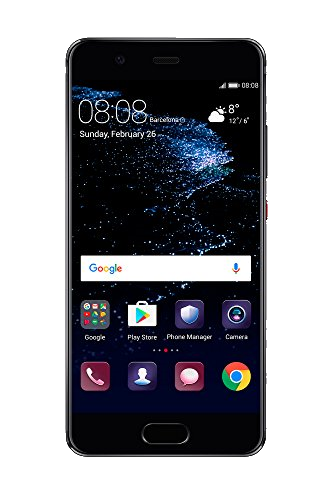 The UltraStudio HD Mini features high quality video recording supporting SDI, HDMI, and analog formats up to 1080p60 HD video standard, and can be connected to computers with a Thunderbolt 3 port. 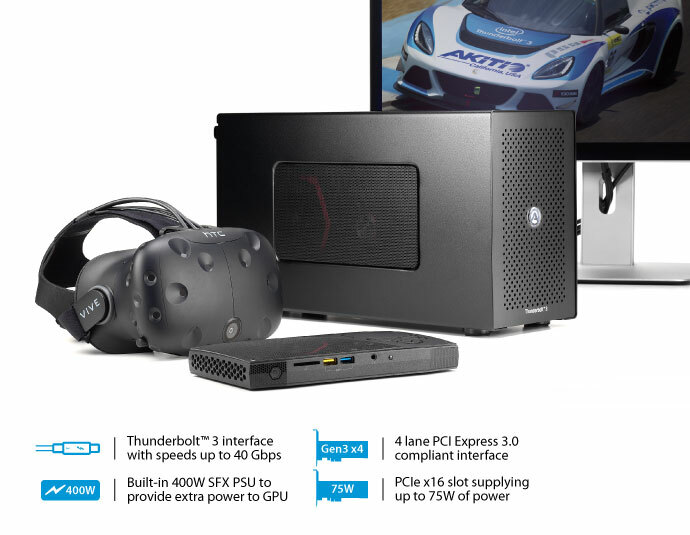 HP was also seen promoting their Thunderbolt 3 Z Workstations that are an alternative to Mac's in the professional content editing space. 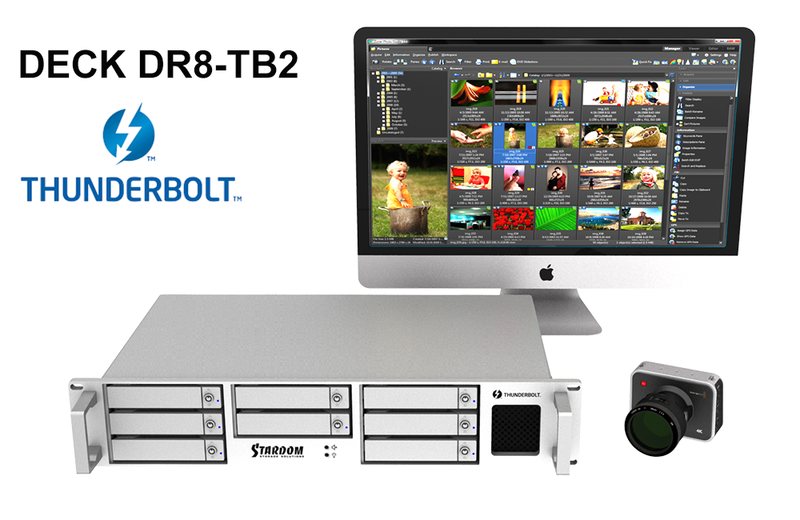 Thunderbolt had a strong showing at NAB and it was great to see so many products showing off the latest storage, docking, external graphics, and networking solutions making use of Thunderbolt 3's capabilities. 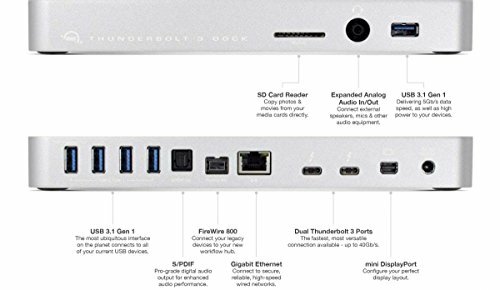 Only Thunderbolt 3 can support 40 Gb/s bandwidth, daisy chain topologies, connectivity with USB 3.1 Gen 2 (10 Gb/s) peripherals and DisplayPort/HDMI 4K displays, and provide USB Power Delivery based charging over a single USB Type-C interface.  With a wide range of Mac's and Windows PC's now supporting Thunderbolt 3, media professionals have more choices to use Thunderbolt 3 peripherals to more efficiently handle their 4K and 8K content workflows.